Normal skin type is characterized by small to medium pores, with neither oily nor dry patches. It is firm to touch and not prone to redness, spots, or broken capillaries. Moreover, normal skin has a smooth texture and good circulation with no visible flaky areas and greasy patches; hormonal changes and environmental pollution, however, may cause occasional blemishes. If you have this type of skin, you are indeed fortunate! To check whether you have dry, oily, combination, or normal skin, take a skin test by washing your face, patting it dry, and press pieces of rice paper at different spots on your face to check if there is oil or not. Normal skin can be taken care of by regular cleansing, toning, and moisturizing. It does not require extensive caring, though. You can clean it twice daily with the help of mild baby soap. Plus, you can apply homemade recipes two to three times in a month and exfoliate your skin gently once or twice weekly. • Mix about 50g of yeast in a teaspoon of vegetable oil and leave the mixture on your face for 20 minutes. Finally, wash it off with lukewarm water followed by a splash of cold water. • Add a few drop of lemon juice in a tablespoon of milk and use this solution as a natural cleanser. • Boil a medium-sized peach in water until it becomes soft. Next, crush it and add a tablespoon each of oatmeal and honey in it. Scrub it onto your face and leave for about 10 minutes. Finally, rinse it off with lukewarm water. 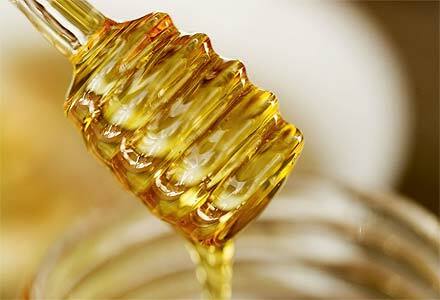 • Moisturize normal skin by applying a combination of one teaspoon of organic honey and two tablespoons of milk. Hydrate your skin by using a mixture of one teaspoon of honey and two teaspoons of cucumber juice. • Take a tablespoon of honey and mix three drops of lavender essential oil in it. Wash your face and then apply this homemade face mask for about 15 minutes. • Mix a quarter cup of carrot juice and a teaspoon of chopped parsley in a cup of white clay. Apply this mask on your face and neck and then wash it off after 20 minutes to maintain younger-looking skin. Here’s a video showing how to make banana face masks for normal skin. • Take a quarter cup of chamomile tea and add two tablespoons of honey, one tablespoon of oatmeal flour, and a couple of drops of sweet almond oil. Apply this recipe on your face and wash it off after 15-20 minutes to rejuvenate and brighten normal skin. You can make oatmeal flour by grinding rolled oats in a blender, food processor or coffee grinder. • Blend an apple in a blender along with two tablespoons of organic honey. Refrigerate the recipe for about 10-15 minutes. Next, smear it on your face. Let it sit on your skin for half an hour and then wash your face thoroughly. • Brighten up your skin by massaging with a thick paste prepared by adding some water in a quarter cup of powdered milk. • Another simple exfoliation recipe involves blending a cup of oatmeal and a cucumber in a blender or food processor. Besides, you can soak a few 5-6 almonds in water overnight, remove their skin, and grind them along with a little milk. Scrub your skin with this recipe to maintain clear, radiant skin. • Pour half a cup of hot water on one-third cup of oatmeal. After a couple of minutes, add an egg white and two tablespoons each of plain yogurt and honey in it. Spread this paste on your face and neck. Finally, wash it off with lukewarm water after 10-15 minutes. • Blend an egg white, four tablespoons of non-fat milk powder, one tablespoon of witch hazel, and juice squeezed from one lemon. Leave this mask on your face and neck for 15-20 minutes. Finally, rinse it off with lukewarm water. • Steep herbs like lavender blossoms, chamomile, rose petals, linden flowers, and lemon balm leaves in a pot of boiling water for 5-10 minutes. Transfer this solution in a bowl and take a facial steam for about five minutes.